The Nile! the Nile ! I hear its gathering roar. 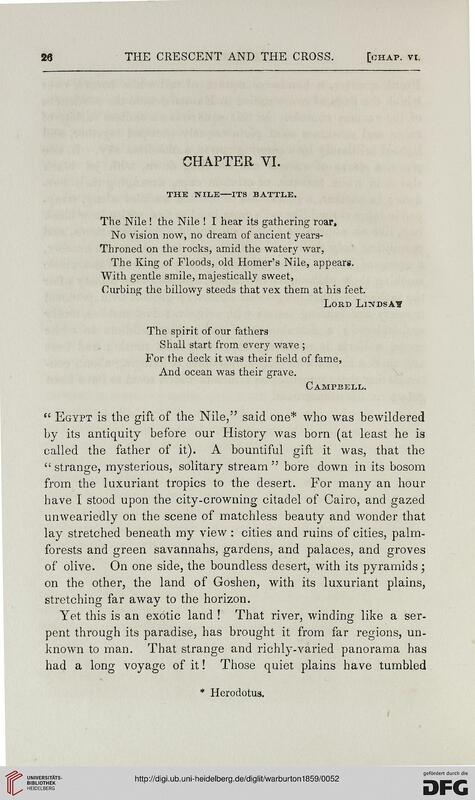 The King of Floods, old Homer's Nile, appears. Curbing the billowy steeds that vex them at his feet. And ocean was their grave. stretching far away to the horizon.